How can I download edX courses to MP4, AVI, MP3 to watch on the go? Learn how to download and convert edX videos for playback anytime and anywhere on your computer, smart phones, tablets or TVs. edX offers video courses in computer science, engineering, history, psychology, nutrition, big data, statistics and hundreds more. If you have tried to download edX courses for offline viewing, you may find some of the edX courses can be downloaded individually using the "Download" link underneath each video, but not others. For other lecture videos which don't have download links, all you need is a workable edX Download app and Bigasoft Video Downloader Pro could be a perfect choice. Acting as an ideal edX Video Courses Downloader, Bigasoft Video Downloader Pro allows you to download any edX video course from edx.org for playback anytime and anywhere on your computer, tablets, smart phones or TVs. And the lecture can be saved in any format you desired, like edX to MP4, edX to MP3, etc. Let's follow these simple steps to download edx video just with one click. Firstly, free download and install Bigasoft Video Downloader Pro. There are two versions for Windows and Mac OS. Both versions are totally clean and safe. Download 1200+ Harvard, MIT, Wharton, UC Berkeley, Tsinghua University, and more courses from edx.org. Download high quality online video courses from edX, Coursera, Lynda, Udemy, Pluralsight, INE and many more online video classes providers. Batch download lecture videos per course at up to 10x normal speeds. Save online video courses to any format for your player, such as MP4, M4A(iTunes), MOV, ProRes (QuickTime player, iMovie), AVI, MKV, WMV, WTV (Windows Media Center), etc. Copy the URL of the edX online education video which you like to download and paste it to the URL box on the download panel of Bigasoft Video Downloader. Playlist supported. 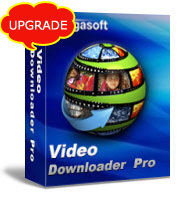 Bigasoft Video Downloader Pro will save edX video course in its original format to keep the best quality. If you prefer to convert the downloaded video to other formats, such as VOB for DVD, please click the small triangle to the right of the "Automatically Convert to", a drop down menu will pop up to let you choose your desired format. 150+ video and audio formats are supported. After all settings are done, just click "Download" button to start the edX online learning courses downloading. Right-click the item in Activity panel and choose "Locate Downloaded File" to get the downloaded edX video courses. Download Bigasoft Video Downloader Pro to learning edX courses to improve skills for professional and continue education anytime and anywhere.